Visionaries, such as the legendary Grigore Moisil, affect not only their immediate students and the people who work with them directly. They are catalysts; that is, their presence stimulates processes that otherwise could not take place. I was introduced to Moisil on more than one occasion. Solomon Marcus brought me closer to him by inviting me to some of his lectures and by sharing some of Moisil’s writings with me. Still, my experience with Moisil is related to the fact that, due to his broad view of science, Romania opened up to computation early on. In those days, I tried my hand at what would become known as “reverse engineering” on primitive computers. The subject that has shaped my entire academic career is creativity. At the meeting point of my education at the Bucharest Polytechnic—where I studied electronics and computer science—and the University of Bucharest—where I obtained my doctoral degree in aesthetics—the topic of creativity translated into the question “Can machines make art?” I programmed a small Wang computer and constructed a primitive plotter on which simple images—more an expression of my knowledge of geometry than of artistic talent—were brought to paper. I showed one of these images to Moisil. He gave me his lectures, “On the Logic of Fuzzy Reasoning” (Lectii despre logica rationamentului nuantat), suggesting that art is close to multi-valued logic and probably transcends our ability to fully describe the way it is created. The same focus on creativity guided me through self-taught forms of mathematics (such as Category Theory) that otherwise would have escaped my knowledge. Yet again, the same interest in the various aspects of creativity prompted my never-ebbing interest in semiotics, in particular Peirce’s semiotics. For a while, Max Bense’s work was close to mine since he himself enjoyed mathematics and considered computers from an aesthetic perspective (the concept of information aesthetics originates with him). Moisil’s broad intellectual presence explains why so many distinguished mathematicians from Romania found semiotics stimulating for their own work. And why aesthetic issues (of images, theater, folk art, music, etc.) still preoccupy them. The Humboldt Grant that brought me out of Romania at a time of extremely trying personal and professional experiences opened yet another avenue in my investigation of creativity—value theory. Semiotics met mathematics, and together they fused into a computational theory. This was when I received my “Prof. Dr. phil habil” title at the University of Munich, where I also taught for a short time. Looking back to the time I first met Moisil, I recall that my interest in the mathematics of fuzzy sets and their various computational expressions goes back to that time also. It was long before I met Lotfi Zadeh—so respectful of Moisil—whose friendship I cherish. It is by no accident that Moisil, Marcus, Guiasu, and Calude are present in spirit, as well as in bibliographic references in my 28 books and hundreds of articles, and many presentations at conferences. They were present in spirit as I developed a program for introducing computers in art and design education at the Rhode Island School of Design (the “Harvard of the arts schools” in the USA); as I carried out research at Brown University’s Center for Research in Semiotics; or as I developed a plan for an Advanced Center for Computing in Art and Design at the Ohio State University. The endowed chair of Eminent Scholar in Art and Design Technology that the Ohio State University (OSU) offered to me gave me the opportunity to understand that creativity, as it pertains to computers, is a matter of how they are programmed, but not a result of information processing. It was during my tenure at OSU that one of Moisil’s favorite subjects—the mind—became my new focus of attention. Indeed, creativity is an expression of how our minds interact. Had Moisil been around when my book, Mind—Anticipation and Chaos (Belser Presse, 1991) was published, I would have made sure to hand him a copy. (This book was printed as a volume in the series Milestones in Thought and Discovery, in which Leibniz’s manuscript on dyadic representation saw the light of print, as did essays by Nobel laureate Werner Heisenberg and Carl von Weizsäcker.) The book advanced the notion that creativity is in anticipation of, not in reaction to, events in our world. What better example than mathematics, so many times accused of having nothing to do with reality only because it is so much in advance, so much an anticipation. With my appointment at the University of Wuppertal, the world’s first known Program in Computational Design was established. A computational theory of design was the long-term goal, and in order to achieve it, the Program focused on human-machine interaction, interface design, and ubiquitous computing, among other pertinent areas of interest. In parallel, I continued work on the broader questions of anticipation, and that brought me close to Terry Winograd (Computer Science) at Stanford University, where I spent a semester in 1999, and to Lotfi Zadeh (Computer Science and Electrical Engineering) at the University of California- Berkeley, where I spent a semester in 2002. The California Institute of Technology (Caltech), the Massachusetts Institute of Technology (MIT), the Illinois Institute of Technology (IIT), and several German universities turn out to be stations of further interaction with students and colleagues. I finished my activity in Germany with a position as Distinguished Visiting Professor in Computer Science at the University of Bremen. Professor Frieder Nake, from Max Bense’s school of semiotics, a pioneer in computer graphics, hosted my presence there. And I was happy to return the favor by convincing the Kunsthalle Museum in Bremen and the ZKM (Center for Art and Media Technology) in Karlsruhe that the time had come to celebrate his pioneering work. My return to the USA was prompted by what Texans call “recruitment.” Despite the name, it has no military connotation. The University of Texas at Dallas (UTD) came into being because Texas Instruments needed highly qualified people to work on their many innovative products. UTD seeks faculty members who can contribute innovative ideas to a relatively new institution of higher learning in the Dallas-Fort-Worth Metroplex. I was offered the Ashbel Smith Professorship, an endowed chair (named after the first practitioner of medicine in Texas), and the opportunity to continue my research in anticipation in the newly established antÉ – Institute for Research in Anticipatory Systems. I did not know that the name of the chair was an omen. Some of our most exciting work is in the area of human life where anticipation is diminished for some reason or another. 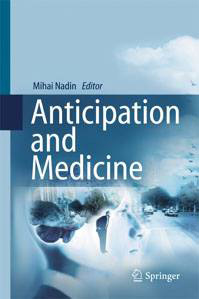 Among the many subjects pursued there are Anticipatory Computing, Hybrid Anticipatory Control Systems, Improved Control Mechanisms for Extremely Complex Situations, Anticipatory Engineering, Quantifying Anticipatory Characteristics, Games and Anticipation, Seneludens (maintaining anticipatory functions in the aging), and Anticipation and Creativity. Not unlike Moisil, I’d be happy if enough young researchers could be stimulated to dedicate their talents to the study of anticipation. Therefore, we look for ways to endow several postdoctoral research positions so that qualified scientists still at the beginning of their careers will be attracted to the field. I claimed that the scientific field of anticipation is a second Cartesian revolution and a new frontier in science. Young researchers might prove me right, or wrong. This is what makes science such a captivating field.